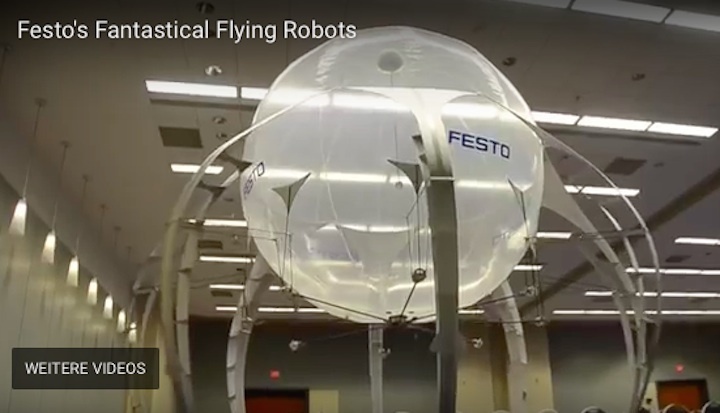 Just barely making it under the wire of a year full of bizarre and adorable robots, the fancy animal robot-makers at Festo are back with three new flying robots. 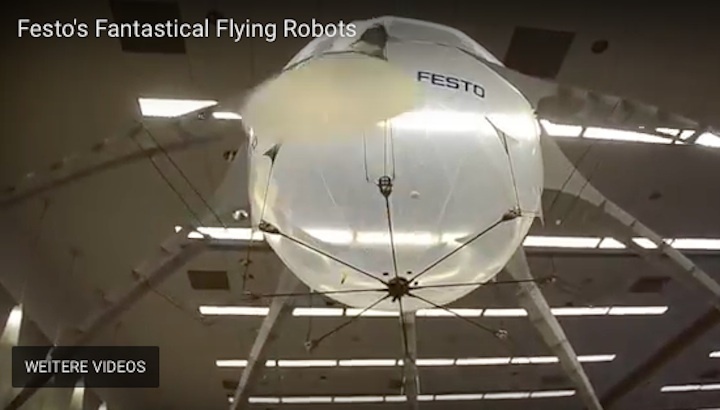 An industrial automation company, Festo's robotic menagerie also includes herring gulls, kangaroos, ants, an elephant's trunk, and a gripper inspired by the tongue of a chameleon. 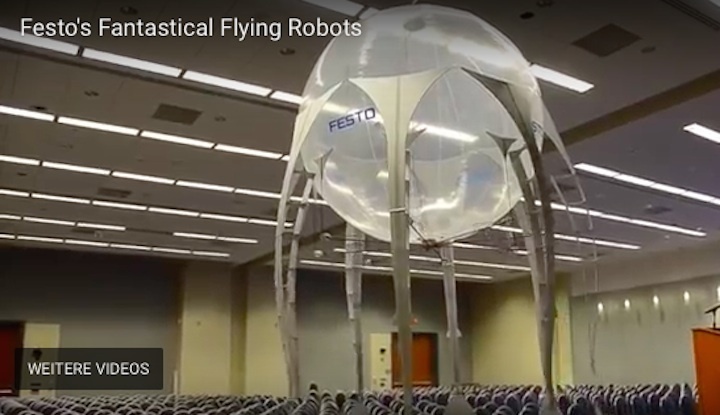 Festo showed off three new animalistic flying drones at the USA Science and Engineering Festival in Washington, DC last summer, and they can seen beautifully gliding through the air in a video captured by IEEE Spectrum. 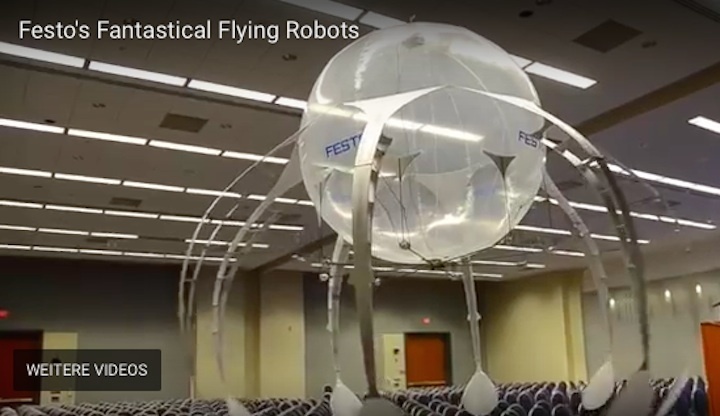 The eMotionButterfly uses a camera tracking system to fly autonomously, avoiding crashes into the ceiling and walls without human guidance. A kaleidoscope of up to 15 butterflies can work together at once, using the tracking cameras to navigate without crashing into one another. 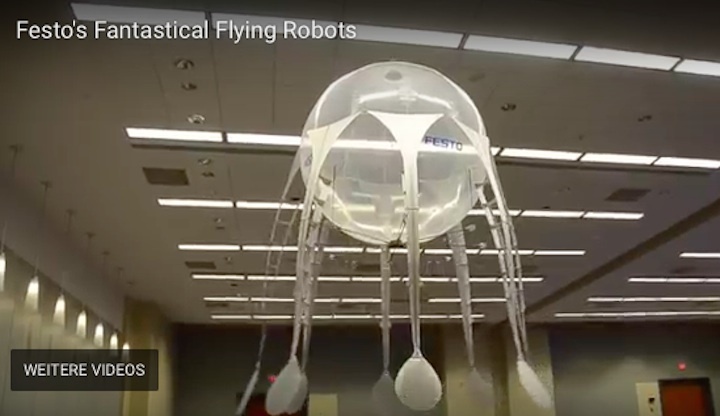 AirJelly, a giant flying jellyfish, is gently propelled up and down by eight tentacles and directed remotely with a bearing inside the helium body. It only weighs about two pounds, and can fly for two hours on one small battery. Last but perhaps cutest, the AirPenguin is a chubby silver blimp-bot with flippers that help it glide forward through the air, and moveable tail fins and a beak. Each of these creatures seems plucked from alternate reality, where mechanical zoos and Atomic Age-style penguins reign the skies. We'll allow it, even though real penguins don't fly.